Cheddar & Gin is a collaborative blog created by the innkeepers of the Jackson House Inn and their awesome media/marketing consultant, Kelby Cushman. 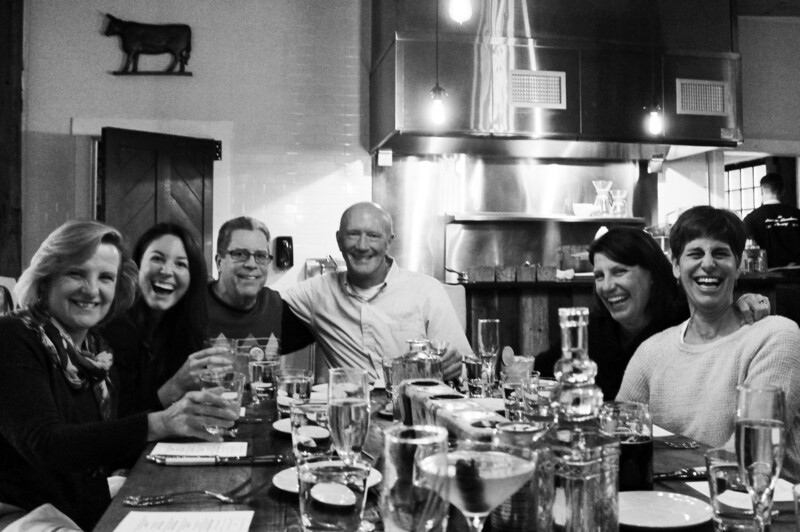 All Vermont transplants, we quickly bonded over our love of quality food, wine, and experiences found in and around the Green Mountain State. From cities and suburbia to the small town of Woodstock, we’ve come to appreciate a truly special way of life. We are spoiled with the abundant farms, rolling mountains, and heartfelt communities surrounding us here. As such, Vermont embodies an ideal setting for creative and culinary innovation. Its bucolic scenery and humble community have elevated the artisanal efforts of local people and businesses. The name, Cheddar & Gin, is a combination of the familiar and novel. We seek to share both what Vermont is known for, as well as what it is becoming known for. In other words, if you aren’t already aware of these stories, you will be soon. This blog features those in the surrounding area whose passion intrigues us, and whose products we genuinely enjoy and wholeheartedly endorse. We highlight the people, businesses, and experiences we consider the best of the best in Vermont – hidden gems we can recommend with the utmost confidence. We like to inspire action – to Eat & Drink, Stay Local, Go Explore, and Get Cookin’. Our features pair the best food and libations throughout the area with experiences to be had in and around Woodstock. No more than a 2 hour drive, any destination featured is well worth the scenic journey. Local points of interest, on the other hand, remain within a half hour radius of Woodstock. Feel inspired? Check out our own recipes, and accompanying stories, we serve up at the Jackson House Inn!